Perhaps you’ve read his cookbooks, seen his shows or just worshipped his recipes from afar. 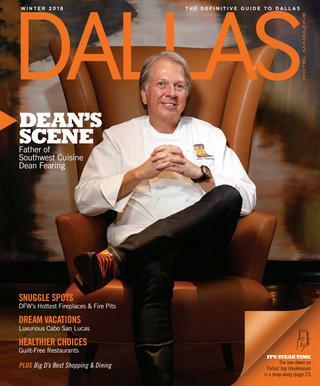 Now, you can be up close and personal with one of the cooking scene’s most endearing chefs—Dean Fearing. 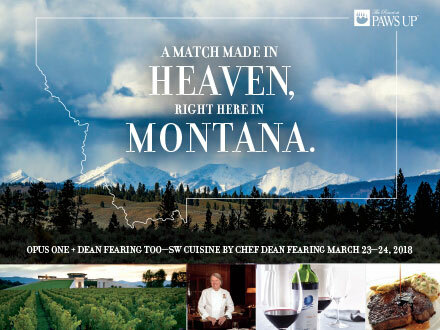 For one exclusive weekend, he’ll be plating his masterpieces at The Resort at Paws Up. And because it’s also our spring Wine Weekend, Michael Silacci will be pouring the Opus One Wines he created. When Baron Philippe de Rothschild and Robert Mondavi originally set out to create singular Opus One vintages, these are the wines they imagined. Why not let your palate be the judge? Taste five of those coveted vintages—2004, ’05, ’06, ’07 and ’08—during this once-in-an-oenophile’s-lifetime chance to appreciate so many Opus One library wines. You can drink in the distinctive differences of each coveted vintage as pointed out by Silacci himself. The pairing of Opus One wines and the Southwestern cuisine of Chef Dean Fearing promises to be one for the culinary ages. And it’ll be the perfect way to sate your Paws Up-sized appetite after hiking in the wilderness or enjoying the first few days of spring on horseback. The big, bold flavors of Texas go so well with the Opus One wines—those big reds are perfect with wild game or beef.